The IoT Festival 2018 showcases the transformations and new world of opportunities made possible by the Internet of Things. Discover the latest developments defining the future of your business with presentations and panels from leading International and Australian Industry experts. This conference provides a networking platform for educators, thought leaders, students, and professionals to exchange insights related to innovations and trends in social media and digital marketing, as well as opportunities and challenges that the industry is currently facing. 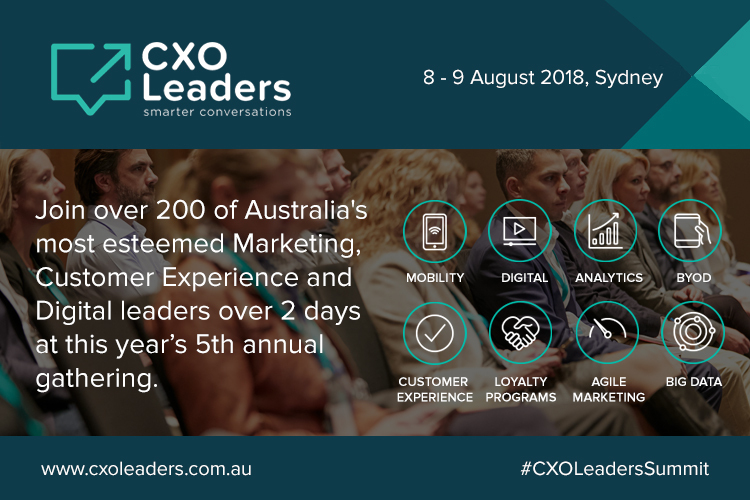 The annual meeting-of-the-minds for 1000’s of government technology leaders across Australia Technology in Government is Australia's largest IT event for the Government. It combines a high- level conference with a large scale exhibition, bringing together senior Public Sector Technologists and Communications Experts to learn, network and source ICT solutions for the ongoing transformation within Government. Customers expect amazing experiences. And you’re the one who will make them. Because you are an experience maker—a rock-star marketer or creative professional who knows the power of the experience economy. So, if you want to engage with your customers at a deeper level and create unbelievable experiences, then join us. Become an experience maker. From the creators of the world's largest Women in Technology event series, Women in Tech Australia is returning to help smash the glass ceiling for women in tech! Join 1,000 tech leaders and professionals for two days of inspiring keynotes, deep insight into tech trends and business strategy, technical classes and career development workshops. Be inspired, expand your network and supercharge your career! Sydney’s leading independent HR tech event will see HR leaders from a wide range of industries take a look at the latest products and best practices from the leading authorities on HR technology. From case studies to panel discussions and tech talks, this event is all about how tech can radically improve HR function.Registration info for the tech summit will be available soon. TGE is a haven for consumer tech product launches, experiences and demonstrations. Showcasing up to 200 exhibitors, interactive entertainment and renowned industry experts to create a truly memorable event experience for all attendees. TGE 2018 features the latest products, great deals and a wealth knowledge and insights into the future of technology and innovation.